After their reveal a few months ago alongside the headphone jack-less No Stereo Jack, No Problem: Why the iPhone 7 Sounds Great No Stereo Jack, No Problem: Why the iPhone 7 Sounds Great It's official -- Apple has removed the standard 3.5mm headphone jack on the iPhone 7. But don't worry, this is a good thing. Read More iPhone 7, you can finally buy Apple’s AirPods You Can Finally Buy a Pair of Apple AirPods You Can Finally Buy a Pair of Apple AirPods Apple is finally selling the AirPods, its wireless headphones which are set to become an essential piece of kit for anyone buying an iPhone with no headphone jack. Read More . Since the only way to use earbuds or headphones with the iPhone 7 is via Bluetooth, these are Apple’s new official listening solution. At $159, AirPods aren’t cheap, especially considering that you can get a decent pair of Bluetooth earbuds for around $30. However, if only the best from Apple will do, you might be excited to get your hands on a pair. If you also have an Android device but don’t have money to spend on headphones for it since the AirPods and their accessories The 7 Best AirPods Accessories to Improve Your Earphones The 7 Best AirPods Accessories to Improve Your Earphones Want to power up your Apple Airpods? Check out these best AirPods accessories for wireless charging, earhooks, and more. Read More broke the bank, here’s how to pair Apple’s newest creation with your Android device. First, place the AirPods into their charging case. Open the lid, then find the little pairing button on the back of the case. Hold that in for a few seconds and you’ll see the light on the case flash white. This means that the Pods are in pairing mode, so open up the Bluetooth settings on your Android device. Tap the AirPods in the device list, and accept any prompts that come up. This will pair the AirPods to your Android phone (or Windows PC that supports Bluetooth), and they’ll act like a standard pair of Bluetooth buds. Apparently, they still pause music when tapped, even on non-Apple devices. Of course, the AirPods can’t activate Siri or instantly switch between devices when used with Android, but at least you can listen to music with them. If you’ve got AirPods, don’t drop them! 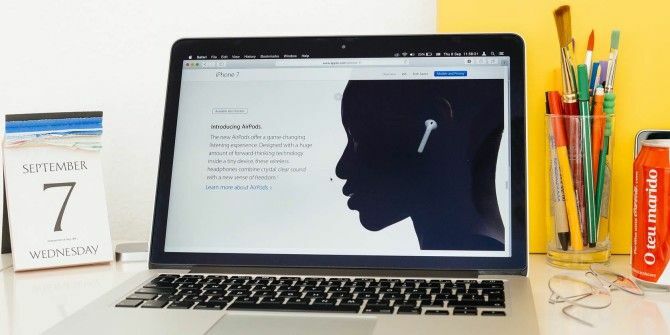 Apple will charge $69 for a lost AirPod Apple Will Charge You $69 for Lost AirPods Apple Will Charge You $69 for Lost AirPods It's almost as if this courageous decision to ditch the headphone jack is a license for Apple to print money. But that can't be true, can it?! Read More . And if you’re having trouble with your AirPods in general, be sure to check out these common Apple AirPods problems and how to fix them 8 Common Apple AirPods Problems and How to Fix Them 8 Common Apple AirPods Problems and How to Fix Them Having trouble with your Apple AirPods? Whether you can't connect or have poor audio, here are some common issues and fixes. Read More . Do you have a pair of AirPods on the way? Will you try them out with Android devices, or stick to Apple only? Let us know what you think of the AirPods in the comments! Explore more about: Apple AirPods, Bluetooth, .